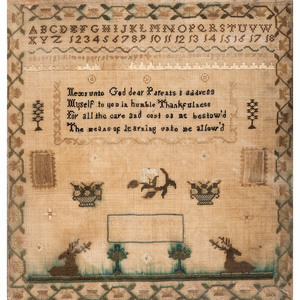 Likely English, ca 1814. 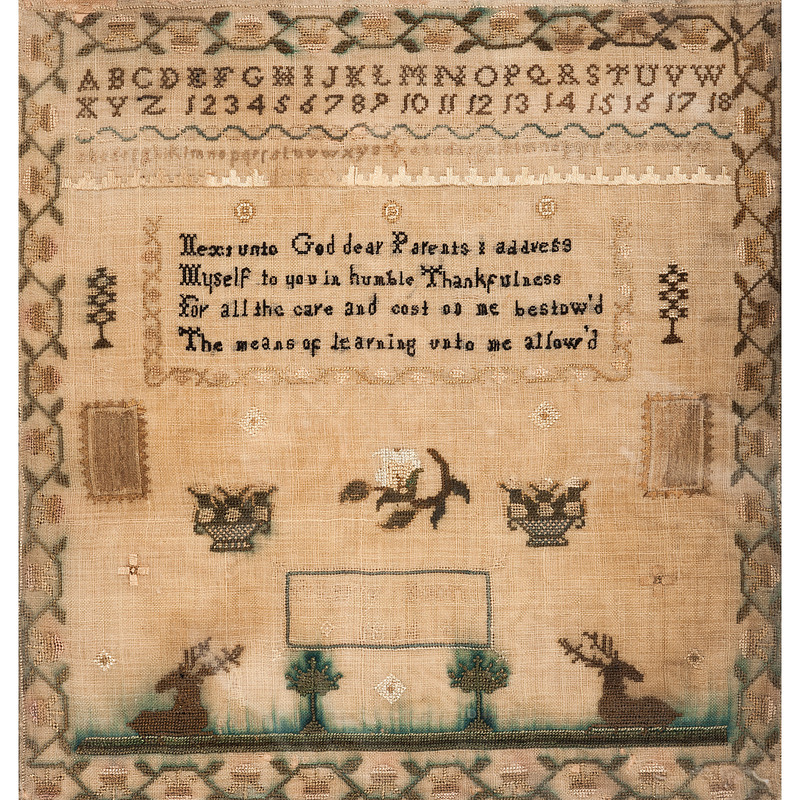 A needlework sampler with alphabet and numerical lines, along with a religious verse, signed and dated, with decoration including two moose. 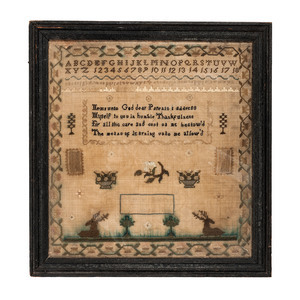 Housed in an early frame; 12 x 11 in. (sight), 14 x 13.25 in. 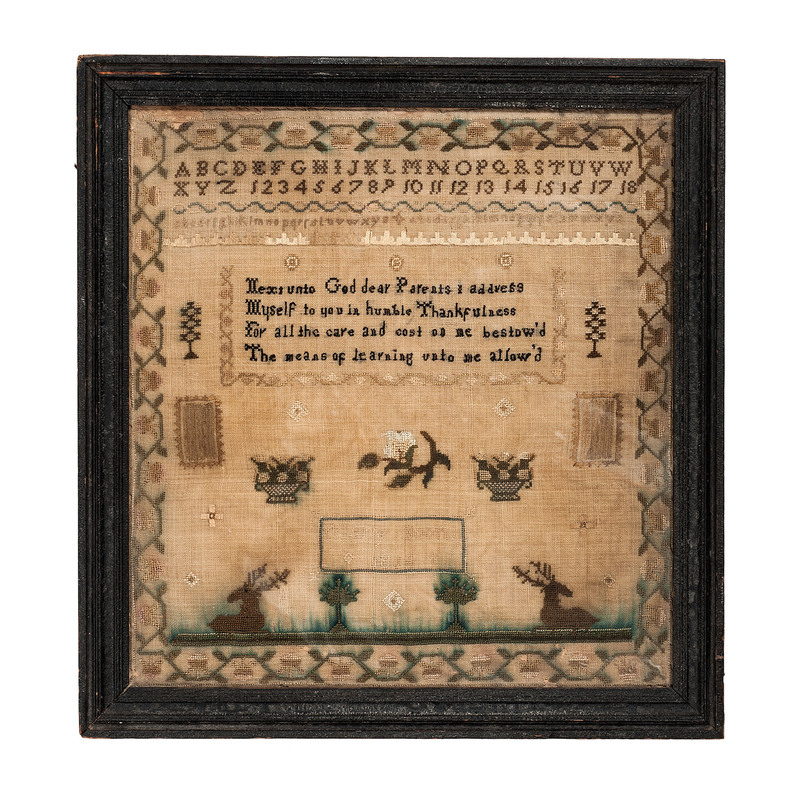 (frame).